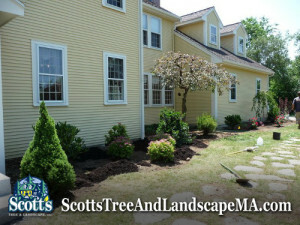 Contact Scott's Tree & Landscape, Inc. for affordable tree work. 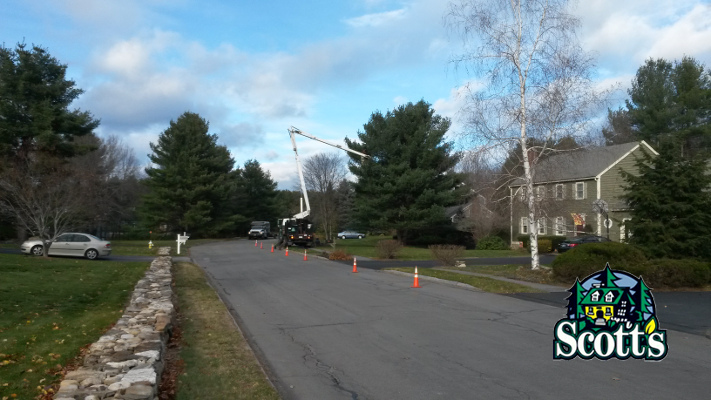 We now have a bucket truck with 75ft reach, for big tree removal work. 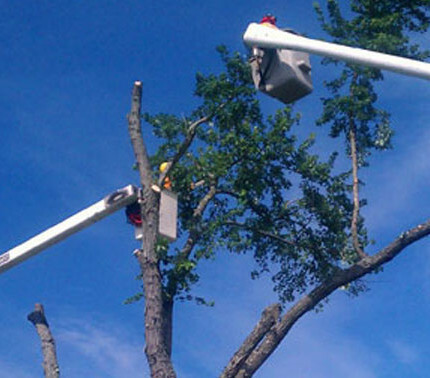 This limits the need for more expensive cranes. 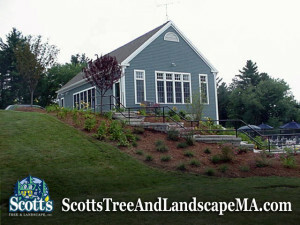 Now serving Westford, Billerica,Carlisle, Concord, Chelmsford, Groton, Littleton, Pepperell and Tyngsboro. 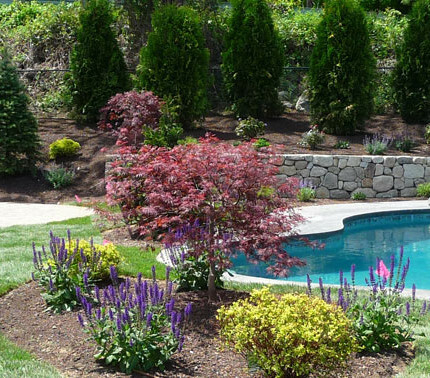 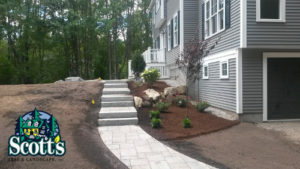 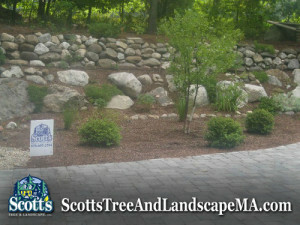 Landscape design work in Westford, MA. 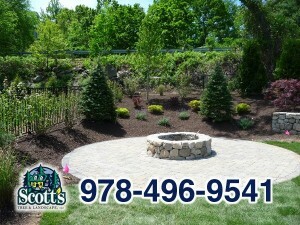 Including sod installation, tree planting, mulch, plants, field-stone retaining wall and fire pit hardscape. 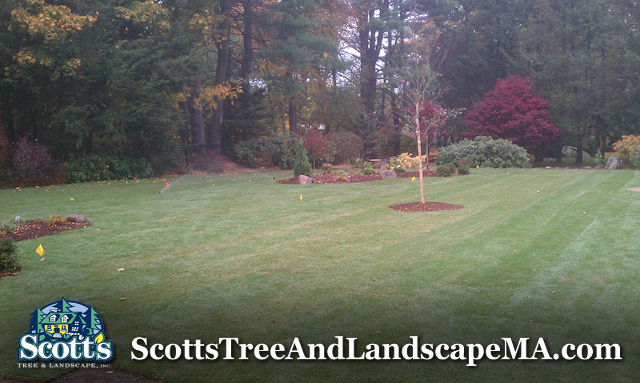 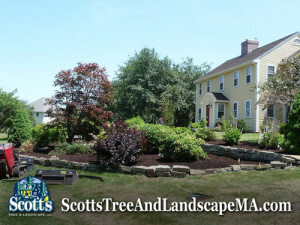 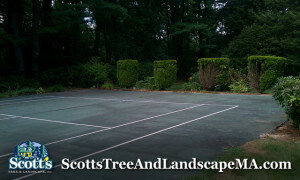 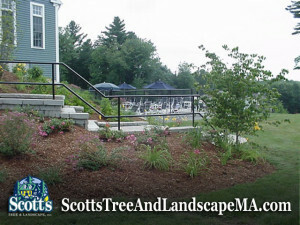 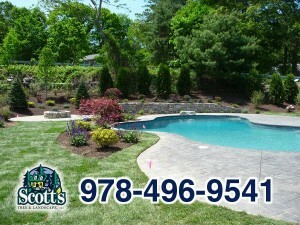 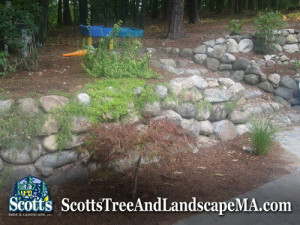 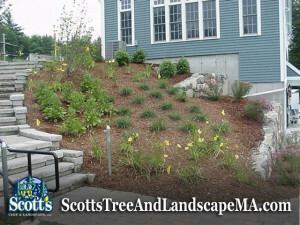 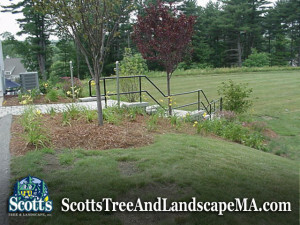 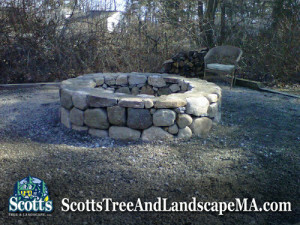 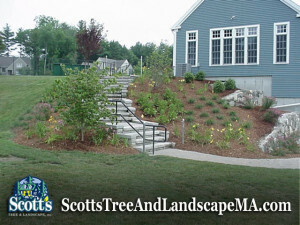 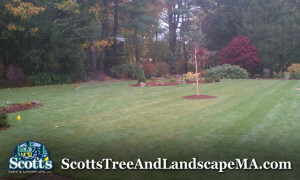 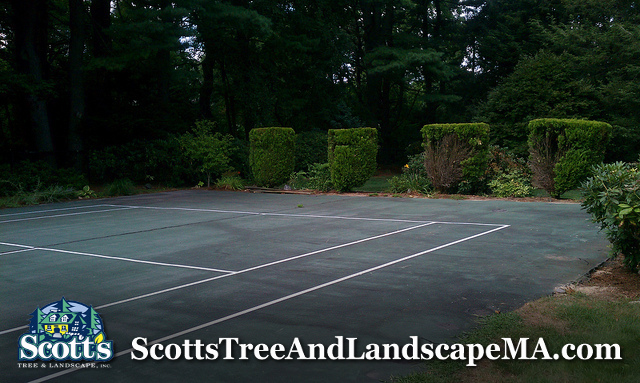 Scott's Tree & Landscape Inc, - Commercial landscape design and implementation for condominium landscape in Acton, MA. 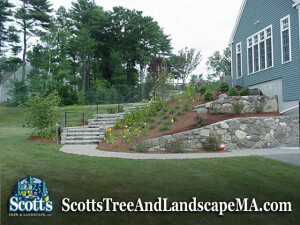 Built outdoor stairs, rails, brick walkway, and retaining walls. 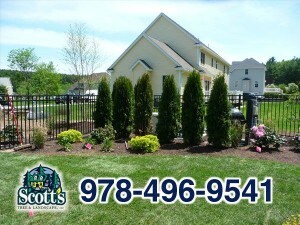 Also did lawn maintenance and planting. 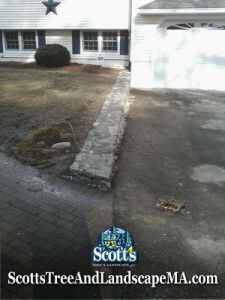 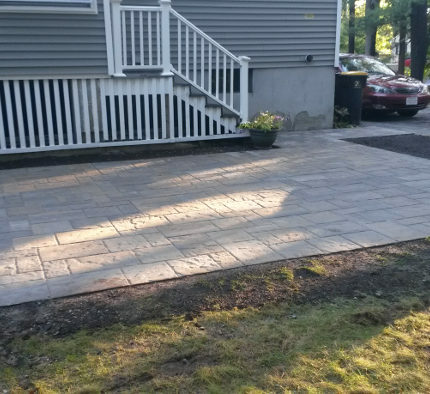 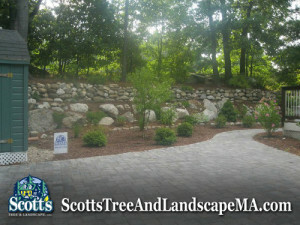 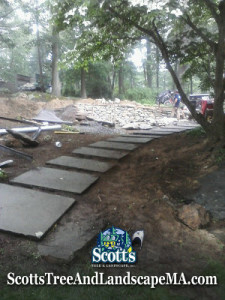 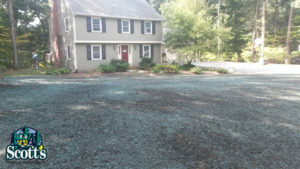 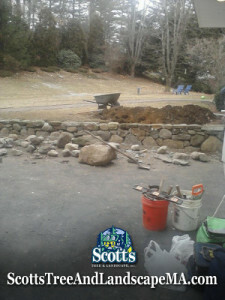 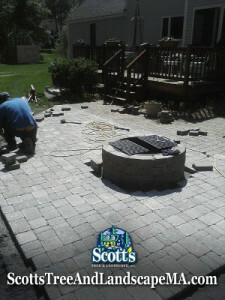 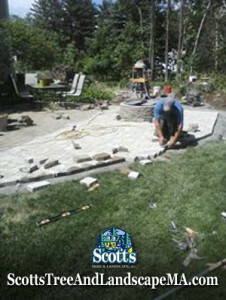 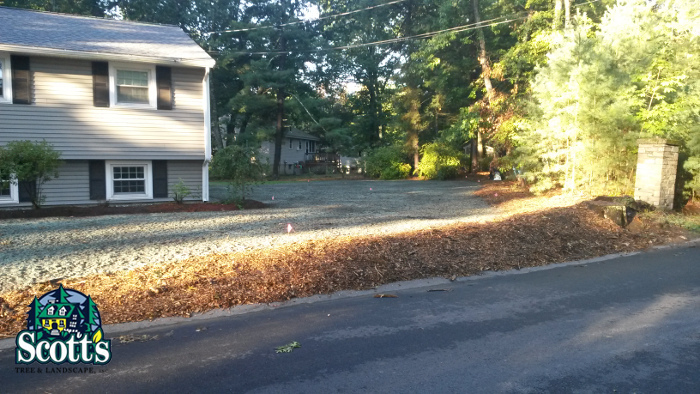 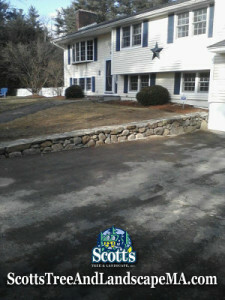 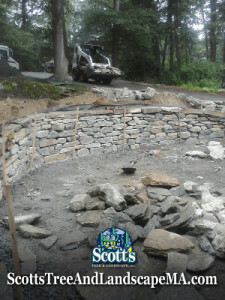 Scott's Tree & Landscape, Inc built a new paver driveway and added new plantings in Lexington, MA. 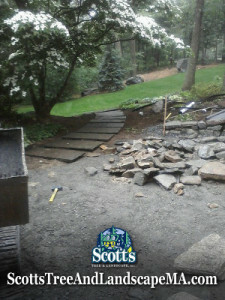 Here you see photos of the finished hardscape work.